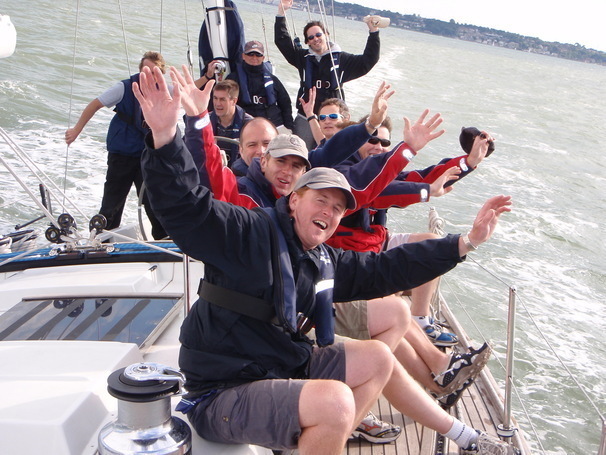 Solent Yacht Charter have a range of sailing and motor yachts to cater for your Corporate Entertainment, Team Days Out, and Client Experience days and weekends out on the water. Whatever your party size and experience, we can find you a perfect solution so that everyone has a great time! Whether you are looking to reward work colleagues, clients or suppliers, we will ensure that you are all looked after and in safe hands. Why not try team building days? Sailing is a great way to create a level playing field with everyone pulling ropes in the same direction! We can mix and match boats of the same size for some fun racing, or take a sail boat and a motor boat and swap crews after lunch. Contact us to help plan your sailing trip.